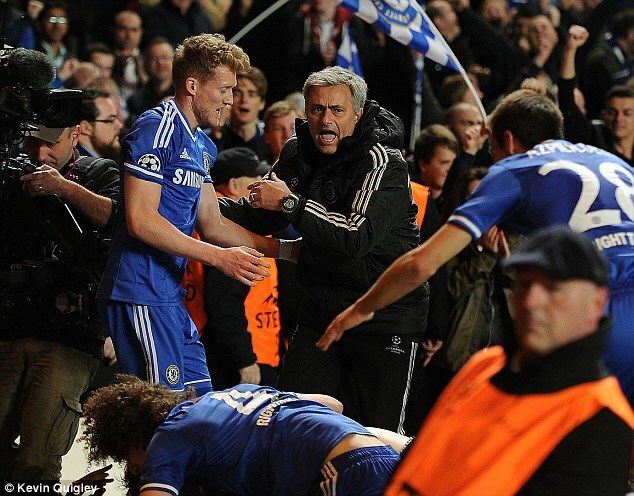 PremiumSportsCenter: MOURINHO ESCAPES UEFA CHARGE AFTER RUNNING ON TO THE PITCH TO CELEBRATE BA'S GOAL AGAINST PSG. 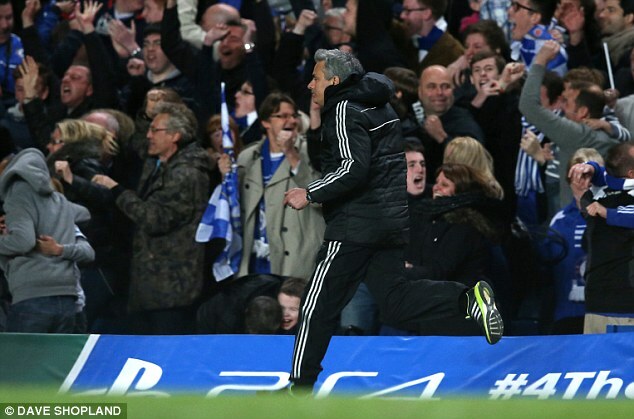 MOURINHO ESCAPES UEFA CHARGE AFTER RUNNING ON TO THE PITCH TO CELEBRATE BA'S GOAL AGAINST PSG. European governing body have said that Chelsea manager, Jose Mourinho will not face disciplinary action after charging down the touchline as his players celebrated their tie-clinching goal against Paris Saint-Germain. After Senegal international, Demba Ba fired the ball past Salvatore Sirigu in the dying stages of the Champions League quarter-final second leg at Stamford Bridge, Mourinho sprinted out of his technical area to the corner flag, where his players were celebrating wildly where he grabbed a number of players, whispering instructions in their ears. 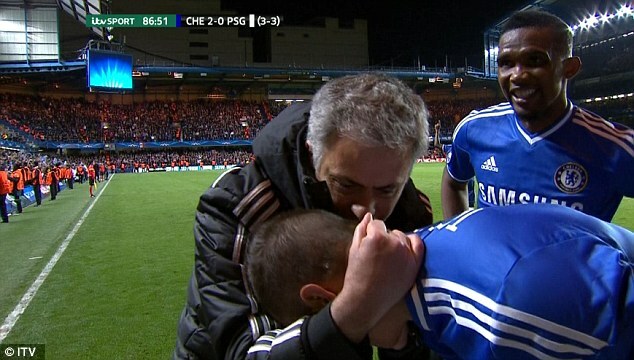 After the match, Mourinho claimed he was not celebrating with his players, but instructing them on how to hold out for the win. UEFA have confirmed they will not take action against the Portuguese coach for entering the field of play. In England however, Mourinho was fined £8,000 by the Football Association and reminded of his responsibilities as a Premier League manager after being sent to the stands by Chris Foy during Chelsea's defeat by Aston Villa last month. Ba's dramatic late goal ensured Chelsea progressed over Laurent Blanc's PSG into the last four of the Continent's elite competition on away goals. The draw will take place on Friday, and Chelsea will have to beat either Bayern Munich, Atletico Madrid or Real Madrid if they are to win their second Champions League title in three seasons.